We are value investors. In constructing portfolios for our clients, we seek out companies that we believe are trading in the market at significant discounts to their underlying value. These businesses must offer significant profit potential and be run by managers who think and act as owners. We believe in the importance of intensive, fundamental research. Our research process is based on a disciplined quantitative and qualitative screening process. For the quarter ended March 31, 2019, the Oakmark International Small Cap Fund returned 13%. The largest contributor to performance in the Fund this quarter was Azimut Holding. For the quarter ended March 31, 2019, the Oakmark International Small Cap Fund returned 13%, comparing favorably to the MSCI World ex U.S. Small Cap Index, which returned 10.9% for the same period. Since the Fund’s inception in November 1995, it has returned an average of 8.7% per year. The largest contributor to performance in the Fund this quarter was Azimut Holding (OTCPK:AZIHF), which was the largest detractor in the fourth quarter of 2018 and was discussed in our last Fund report. Azimut is an Italian asset management company, based in Milan, with increasingly significant international operations in 16 countries. The company operates an integrated distribution and investment management model, aimed primarily at private clients. In January, Azimut announced a change to its fee structure that will lead to higher recurring fees and lower performance fees, and the new calculation of its performance fees will be more consistent with market practice. We view this change favorably as it will reduce the volatility of the business model. In addition, the company reported 2018 financial results that were in line with estimates and management expressed confidence in achieving its business plan target of €300 million of net profit in 2019. This result, if achieved, would be well ahead of market estimates. Along with the release, the company announced a €1.50 per share dividend. This significantly exceeded estimates and amounted to a nearly 12% yield at the time of announcement, which we believe reflects the company’s strong balance sheet and cash flow generation. We continue to be impressed with the shareholder-friendly orientation of management and the fact that management and employees own over 20% of the company’s stock. The largest detractor from performance for the quarter was BNK Financial Group, a banking, securities and financial services provider in the southeast region of South Korea. The company issued fiscal-year 2018 results in February that came in below expectations, reporting a net loss of 37B KRW for the fourth quarter of 2018. These results were due to higher loan loss provisions and charges associated with an early retirement program (ERP). We believe a significant portion of these charges were one time in nature, given relatively stable underlying asset quality, coupled with an expected benefit from the ERP. The market was also disappointed that BNK’s transition to a more efficient capital structure is taking longer than expected due to a change in regulatory personnel. The bank now expects the benefits of this transition to flow through in the first or second quarter of fiscal year 2019. While this is certainly disappointing, management has reiterated its targeted benefit of 60-100 basis points and indicated that the group will reach a CET1 of nearly 11% by the end of 2019. The stronger capital base should not only help assuage investor concerns but also enable BNK to increase its dividend payout ratio and even potentially consider a buyback. Given that the company’s stock trades at 4x trailing earnings (including the aforementioned one-time charges), we believe a higher dividend payout would be viewed quite positively by the market. We initiated five new holdings in the Fund this quarter: Bharti Infratel (OTCPK:BHRQY), the largest telecom tower company in India; Dometic Group (OTC:DTCGF), a Swedish manufacturer of a wide array of appliances and accessories for the RV, marine and automotive industries; Autoliv (NYSE:ALV), also Swedish-based and a past Fund holding, a developer and manufacturer of automotive safety systems with sales to all leading car manufacturers worldwide; DS Smith (OTC:DSSMY), a U.K.-based international paper company that designs and manufactures packaging products for consumer goods; and lastly, Italy-based Autogrill (OTCPK:ATGSF), the world’s largest supplier of food and beverage services to travelers. During the quarter, we eliminated one position in Cosmo Lady (China). Geographically, we ended the quarter with approximately 69% of our holdings in Europe and the U.K., 14% in Asia, and 8% in Australasia. The remaining positions are 5% in Latin America (Mexico and Brazil) and 3% in North America (Canada). We continue to believe both the Swiss franc and Norwegian krone are overvalued versus the U.S. dollar. As a result, we defensively hedged 19% of the Fund’s franc exposure and 29% of the krone exposure. Thank you for your continued confidence and support. The securities mentioned above comprise the following percentages of the Oakmark International Small Cap Fund’s total net assets as of 03/31/19: Autogrill 0.5%, Autoliv 1.1%, Azimut Holding 3.5%, Bharti Infratel 0.7%, BNK Financial Group 3.0%, Cosmo Lady 0%, Dometic Group 1.1% and DS Smith 1.0%. Portfolio holdings are subject to change without notice and are not intended as recommendations of individual stocks. 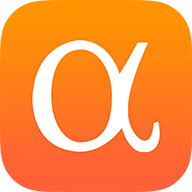 Access the full list of holdings for the Oakmark International Small Cap Fund as of the most recent quarter-end. The MSCI World ex USA Small Cap Index (Net) is designed to measure performance of small-cap stocks across 22 of 23 Developed Markets (excluding the United States). The index covers approximately 14% of the free float-adjusted market capitalization in each country. This benchmark calculates reinvested dividends net of withholding taxes. This index is unmanaged and investors cannot invest directly in this index. The stocks of smaller companies often involve more risk than the stocks of larger companies. Stocks of small companies tend to be more volatile and have a smaller public market than stocks of larger companies. Small companies may have a shorter history of operations than larger companies, may not have as great an ability to raise additional capital and may have a less diversified product line, making them more susceptible to market pressure. Investing in foreign securities presents risks that in some ways may be greater than U.S. investments. Those risks include: currency fluctuation; different regulation, accounting standards, trading practices and levels of available information; generally higher transaction costs; and political risks. All information provided is as of 03/31/2019 unless otherwise specified.